In 1950 Michele Giuliano Albo became fascinated by the concept of coffee as a fruit and started studying it. He wanted to understand the origins and characteristics of each variety. He traveled to Brazil and Kenya and put himself in contact with the Italian coffee experts of that time. After his travels, he set up his first roasting laboratory and created his first blends: “Bollo Oro” and “Bollo Argento”. It was an exciting and frenetic period: during the evening and night Michele worked on his coffees, during the daytime he drove across the Aosta Valley and the Canavese area to propose his products to cafes and restaurants. Since the early 1980’s, Michele’s daughter, Maria Teresa and her husband, Federico Minelli, have carried on her father’s passion . They developed “Gran Miscela” and “Gran Aroma,” two blends which have won over the baristas of Torino. Since the 1990’s, Federico has worked day and night in his laboratory, mixing and balancing single origin coffees from all over the world, to createthe perfect blend: aromatic, round and delicate. This elegant new blend is distinctly Italian but also popular with international palates. The “Espresso Italiano” blend is born. Alessandro and Marcella, Maria Teresa and Federico’s children, continue the family’s tradition. The object of their passion remains ever the same: the search for unique flavors, the creation of new, highly refined blends and the meticulous quest to find the perfect balance between coffees of different origins. 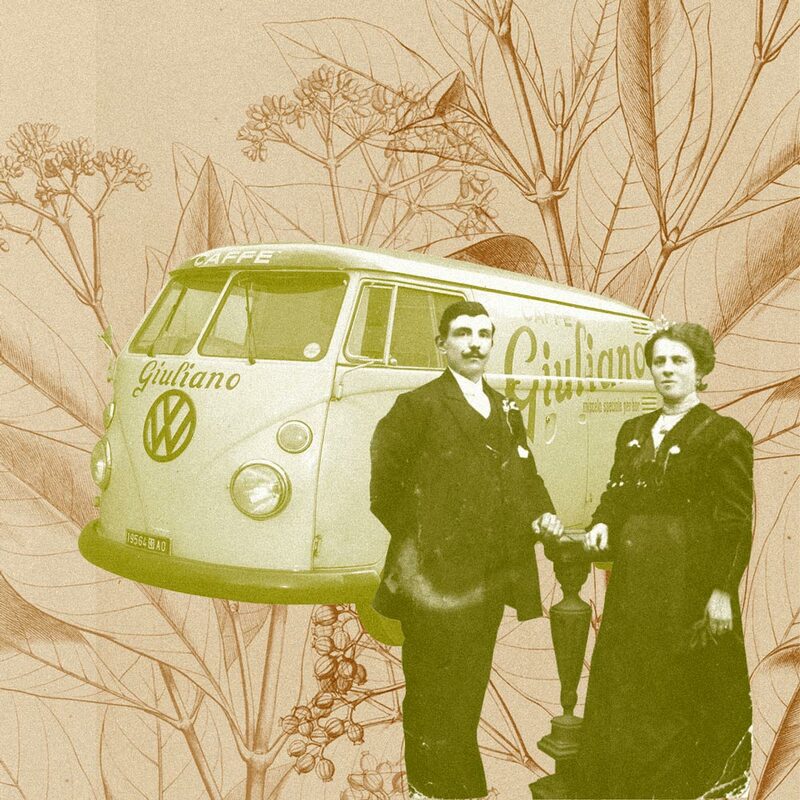 Coffee is an ancient product but the Giuliano family continues to play with its endless possibilities.